The new and amazing gateway to Israel. Here time literally flies. This new airport combines all of the cutting edge technology and flight control abilities. It's big, it's beautiful and it's Israel at it's finest. Once you land in this airport you don't want to go back because it feels like home. A place you feel belong and welcome. Ben Gurion Car Rental: all reservation done in the website. 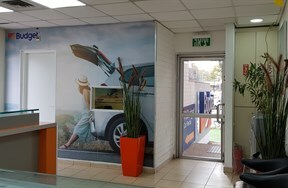 The car will wait for you in our agency in Ben Gurion .